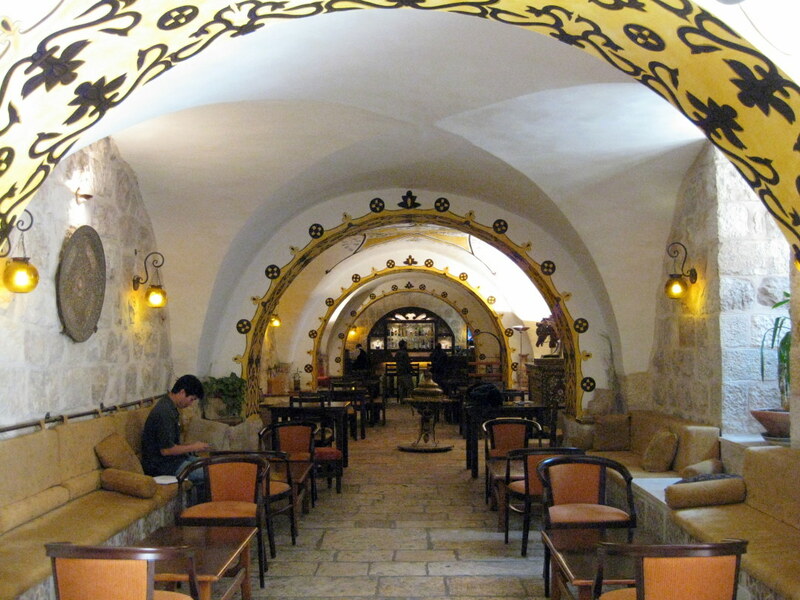 I thought you might enjoy looking at this video of Jerusalem City Hall. Here is the view of Old Jerusalem from the Government House Promenade. Click here to enjoy. This video is of the view of West Jerusalem from Mount Zion. It is interesting. Today I thought I would share a photo I took of the lobby in the Gloria Hotel. I have fond memories of our visit to Jerusalem. The architecture, seating areas, and lighting were nice. We also enjoyed watching the doves who visited the patio outside. Did you know that Israel has a Valley of the Doves? It was used as a main thoroughfare between Nazareth and Capernaum. So much to do and see in Israel. For more information about planning a trip, click here. Here are pictures of the Gloria Hotel for your convenience. Vintage is the rage right now. Vintage clothing, vintage decorating, vintage anything. In my story The Legacy, two characters dance the jitterbug from the 1950’s. Without spoiling the fun as to who the two characters are, I thought we would take a step back in time and learn more about the jitterbug. Click here to watch some fast foot work from the 50’s. Then there is Lucy doing the jitterbug. And for fun, the jitterbug in the living room. I hope you have enjoyed our trip back into time. If you want to find out who danced the jitterbug in the book, The Legacy, click here. Earlier this month, my book On Our Own In Jerusalem was 5th on the Amazon list for Jerusalem travel guides. That was exciting. When a tourist visits Jerusalem, eating the local cuisine is important. Street food is a great way to sample the local dishes. Click here to view a video on this great eating adventure. This video features dishes that will make your mouth water. The food is delicious in Jerusalem. Please leave a comment to be entered into my contest this month. The winner will receive a copy of my book Lyza’s Story. I am hosting a contest on my blog May 7-21. Please leave a comment to be entered into a drawing for my book Lyza’s Story. Every time you leave a comment you are automatically entered into the contest. So leave as many as you would like. Orchids are beautiful flowers and can be grown in one’s home or commercially. They require good soil, clean air and water, and ventilation if grown indoors. This link provides basic growing tips for those of you who love to dig in the dirt. If you prefer, you can watch this educational video on proper plant care. What is your favorite flower and travel destination? Orchids are mentioned in The Lane Trilogy. Why are they a part of the stories? Who enjoys them the most? You’ll have to read the books to find out! Do you like convertible cars? I love driving in the springtime with music on the radio, an iced beverage in the cup holder, and the windows down. As a writer, I can enjoy imagining my characters in various scenes and write about it. In my book Lyza’s Story, one of the characters drives a red Mercedes convertible. This character keeps the top down. I thought it would be fun to spend some time learning about the Mercedes. For the first article, I’d recommend scrolling down and looking at the pictures of the cars. I thought the newer version with the fold up doors was intriguing, but the vintage cars are special. Mercedes-Benz traces its origins to Karl Benz’s creation of the first petrol-powered car, the Benz Patent Motorwagen, patented in January 1886 and Gottlieb Daimler and engineer Wilhelm Maybach’s conversion of a stagecoach by the addition of a petrol engine later that year. The Mercedes automobile was first marketed in 1901 by Daimler-Motoren-Gesellschaft. The first Mercedes-Benz brand name vehicles were produced in 1926, following the merger of Karl Benz’s and Gottlieb Daimler’s companies into the Daimler-Benz company. Throughout the 1930s, Mercedes-Benz produced the 770 model, a car that was popular during Germany’s Nazi period. Adolf Hitler was known to have driven multiple of these cars during his time in power, with bulletproof windshields. Most of the surviving models have been sold at auctions to private buyers. One of them is currently on display at the War Museum in Ottawa, Ontario. Mercedes-Benz has introduced many technological and safety innovations that later became common in other vehicles. Mercedes-Benz is one of the best known and established automotive brands in the world, and is also the world’s oldest automotive brand still in existence today. Click here to read the rest of this article. This next article features Karl and Bertha Benz and how their hard work put the automobile into production. An important part in the Benz story is this first long distance automobile trip, where entrepreneurial Bertha Benz, supposedly without the knowledge of her husband, on the morning of August 5, 1888, took this vehicle on a 106 km (66 mi) trip from Mannheim to Pforzheim to visit her mother, taking her sons Eugen and Richard with her. In addition to having to locate pharmacies on the way to fuel up, she repaired various technical and mechanical problems and invented brake lining. After some longer downhill slopes she ordered a shoemaker to nail leather on the brake blocks. Bertha Benz and sons finally arrived at nightfall, announcing the achievement to Karl by telegram. It had been her intention to demonstrate the feasibility of using the Benz Motorwagen for travel and to generate publicity in the manner now referred to as live marketing. Today the event is celebrated every two years in Germany with an antique automobile rally. In 2008 Bertha Benz Memorial Route was officially approved as a route of industrial heritage of mankind, because it follows Bertha Benz’s tracks of the world’s first long-distance journey by automobile in 1888. Now everybody can follow the 194 km of signposted route from Mannheim via Heidelberg to Pforzheim (Black Forest) and back. The return trip was along a different, slightly shorter, itinerary, as shown on the maps of the Bertha Benz Memorial Route. Click here to read more. So who drove the red Mercedes convertible with the top down? You’ll have to read the book Lyza’s Story to find out! The books for the Lane Trilogy are in stock and eligible for free shipping on Amazon. Remember, I’m running a contest here on Vicki Andree Books. It ends on Tuesday. Be sure to leave a comment to be entered into the drawing.